It’s been a rough season so far. Injuries have mounted, seemingly by the hour. Just this past week, the Tampa Bay Rays lost two members of their starting rotation in Alex Cobb and Drew Smyly. 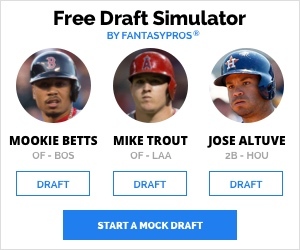 It was a tough break for the Rays, as well as fantasy baseball owners. There is some hope on the horizon for the Tampa faithful though, as last year’s closer, Jake McGee, is due back with the club this weekend. In this week’s edition of the injury report, I’ll be discussing McGee, as well as some other closers who will be returning from the DL in the near future. Back in December, McGee had arthroscopic surgery on his left elbow to remove a loose body, and the 28-year-old has been in recovery mode ever since. The 2014 season presented a lot of ambiguity in McGee’s role out of the bullpen. 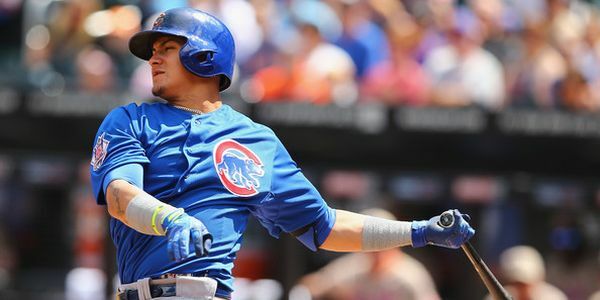 He was often a pawn in former manager Joe Maddon’s bullpen carousel, rotating from setup man to closer, but McGee eventually won the job outright, appearing in the ninth inning or later in 24 of the team’s last 29 games. 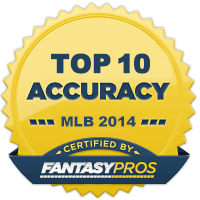 He finished 2014 with a fantastic 1.89 ERA, 11.40 K/9 and 19 saves. 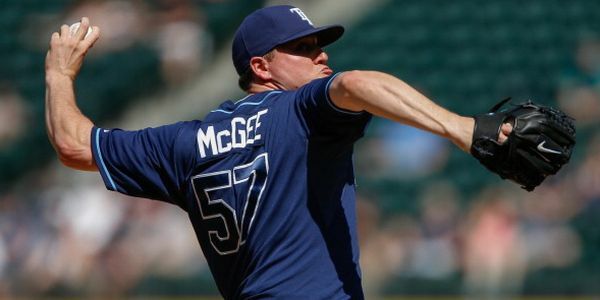 The Rays, and new manager Kevin Cash, were prepared to begin the 2015 campaign with McGee as their ninth-inning man, but it was determined that he needed surgery after complaining of pain in his left elbow. It’s a little worrisome because McGee had Tommy John surgery back in 2008, but his recovery has been nothing but smooth sailing. The southpaw’s rehab has included two games with High-A Charlotte and three games with Triple-A Durham (paging Nuke LaLoosh), and all has gone swimmingly (0.00 ERA). 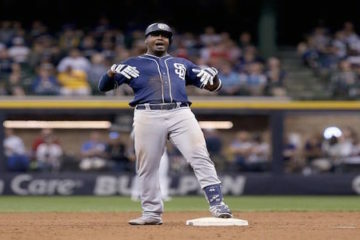 The Rays expect McGee to be back with the team as early as this weekend for a road series in Minneapolis. Assuming his health remains intact, the big question will be whether he regains the closer role, or if Brad Boxberger continues to man that job. Boxberger has been outstanding in fill-in duty, recording eight saves with a 1.50 ERA and an 18/6 K/BB ratio. McGee should eventually get a shot at reclaiming his place in the ninth, but it wouldn’t be crazy to see Boxberger have a little bit of a leash. I mean why mess with one of the few bright spots they’ve had with their pitching? Traditionally, closers aren’t usually left-handed, and allowing matchups to determine McGee’s usage may be the smart move in the short term (though McGee actually fared worse vs. LHB than he did RHB last year). Jake McGee is still available in 33 percent of ESPN leagues, and though we won’t know his role till he gets a few games under his belt, he needs to be owned everywhere. The famously bearded Australian is finally ready to progress to rehab games after missing the entire season up to this point. A partially torn rotator cuff has been the culprit for his absence, but after throwing a 23-pitch simulated game on Monday, the A’s feel he’s ready to throw in live situations. How long it takes for Doolittle to be game ready is unknown, but barring any setbacks, it’s expected that he will return by the end of the month. Based on that timeline, it sounds like the team wants him to pitch in at least six games or so. The A’s have the third-worst bullpen ERA in baseball (5.16) and Doolittle will be a big boost, but they certainly won’t rush him back given that they’re nine games under .500 and 8.5 back of first in the AL West. Like McGee, Doolittle is a must-add, but I have less optimism regarding his situation. The fact stills remains that his shoulder has a tear in it, and that’s something that could cause problems in an instant. Add him, but be cautious. The Dodgers have gotten excellent production out of their relievers while Jansen has been sidelined. Yimi Garcia (0.64 ERA, 23/4 K/BB), Paco Rodriguez (1.29 ERA) and Pedro Baez (1.88 ERA, 19/3 K/BB) are some of the pitchers who have contributed to the team’s 1.85 bullpen ERA — the third-best in baseball. Of course, that relief staff will only get stronger once Jansen is back. The 27-year-old converted pitcher (he was a catcher until 2010) has saved 97 games for the Dodgers in the past three seasons, but he landed on the DL during spring training after having surgery to remove a growth on his foot. There hasn’t been much evidence of what this “growth” actually was, but needless to say, he’s in good health now and ready to return. After his third rehab appearance yielded poor results (3 ER and a HR in 0.2 IP), Dodgers’ brass opted to give him a couple more shots to get back on track — and he did — pitching 1.2 scoreless innings over his next two outings. This was enough for the Dodgers to make the call, and they announced that Jansen would be activated prior to this Saturday’s game against the Rockies (assuming he has no setbacks before then). Dodgers manager Don Mattingly isn’t ready to throw him into the fire just yet, saying he won’t necessarily use him in high-leverage situations right away. But unlike in previous years, the Dodgers’ outstanding bullpen gives him that luxury. Jensen will eventually assume the closer role and thrive in it for the rest of the season. There may be one last buy-low opportunity for fantasy owners over the next four days, and that’s a shot worth taking.